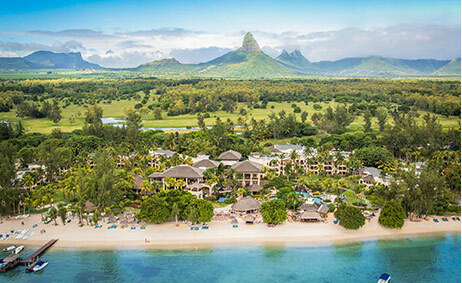 The Mauritian hospitality industry has seen a steady growth over the past few decades that has made the island grow in popularity, becoming a world renowned holiday destination. From a small number of local hotels to a range of international hotels, the island’s tourist sector has vastly developed. 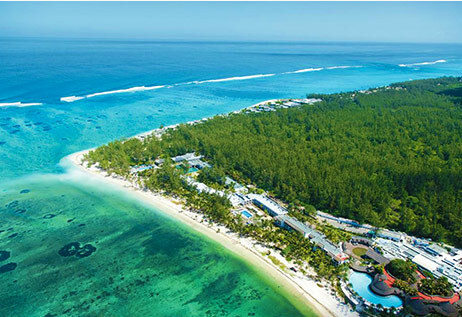 Mauritius is presently a prime global holiday destination that annually accommodates around a million visitors. Originally a holiday destination for beach-resort tourists, the island has witnessed the emergence of new kinds of tourism in recent past. Societal and economic progress along with a change in tourism have contributed in enticing a number of globally renowned hotel chains to invest in the island’s tourism sector. 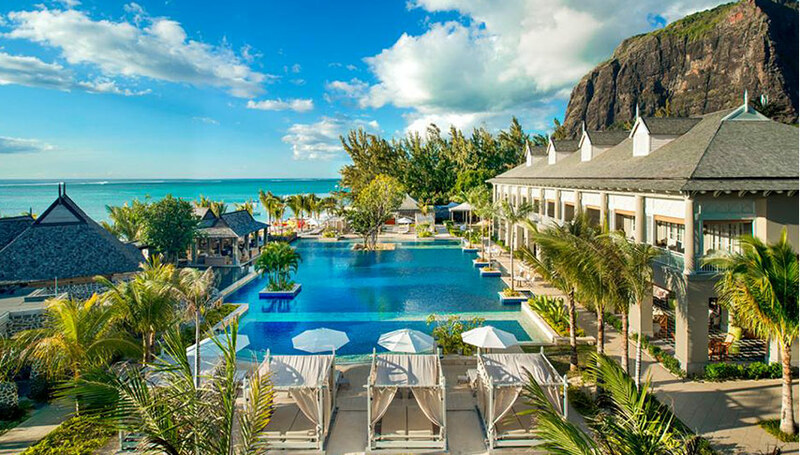 International hotel chains have great business opportunities in Mauritius because of its developed infrastructure, access to cost effective and educated labour and attractive investment incentives from the govt. Such as double tax exemptions. 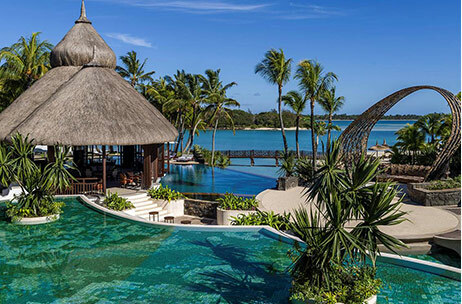 Furthermore, island destinations, like Mauritius, appeal to international hotel groups because they form a romantic idyll for people brought up in Europe or other non-tropical places, which is why island destinations have traditionally been popular honeymoon destinations, however, nowadays, they are increasingly becoming prized wedding destinations as well. International hotel chains can capitalize on the beautiful natural landscapes to sell dreams of exotic beach weddings, tying the knot onboard a catamaran or even under the ocean waves in a submarine, to tourists. 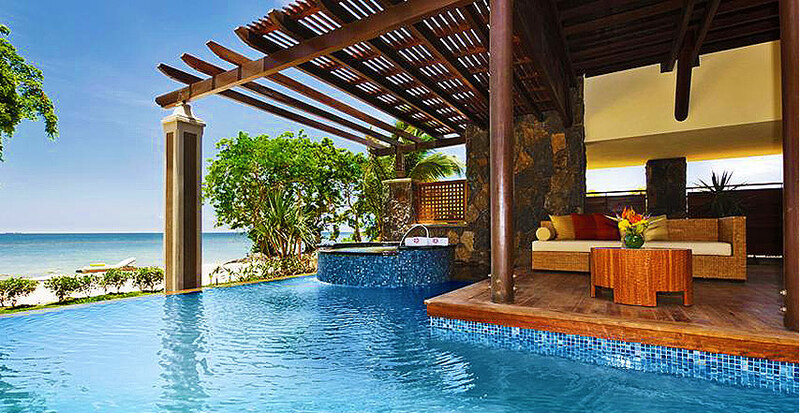 Mauritius is an excellent hub of opportunities for international hotels. Hilton Worldwide’s flagship brand, Hilton Hotels & Resorts is one of the largest hotel brands in the world with a 97-year history that established them as pioneers in the trade. Their properties include more than 570 hotels and resorts in nearly 84 countries. Their brand portfolio is the most diverse in the industry and they offer products and services that meet the needs of modern, global travellers. Because of their innovative approach to products, amenities and service, Hilton continues to be the stylish, forward thinking global leader of hospitality in the world. The Hilton brand helps make traveling easier with their smart design, innovative restaurant concepts, authentic hospitality and commitment to the global community. The group endeavours to provide friendly, individualized service to all guests. They are also happy to offer a range of services to meet diverse needs. From booking to check out, you are sure to have a very fun time at any of the Hilton hotels & resorts. InterContinental Hotels & Resorts is one of the world’s major luxury hotel and resort brands with over 185 hotels, located in more than 60 countries across the globe, and an expertise expanding over 65 years of experience. As the world’s first international luxury travel hotel brand, they have been pioneering new international destinations for decades. Each of their hotels is a destination in its own right with a distinctive style and ambience, from historic buildings to city landmarks and immersive resorts in every corner of the globe. InterContinental is committed to delivering high-quality service, as well as incorporating new and ground-breaking ideas in order to keep up with the changing tastes and needs of modern travellers. Since its creation in 1950, Club M&eacute;diterran&eacute;e, commonly known as Club Med, has created and promoted a new form of shared experience and a unique style of holiday: all-inclusive holidays. 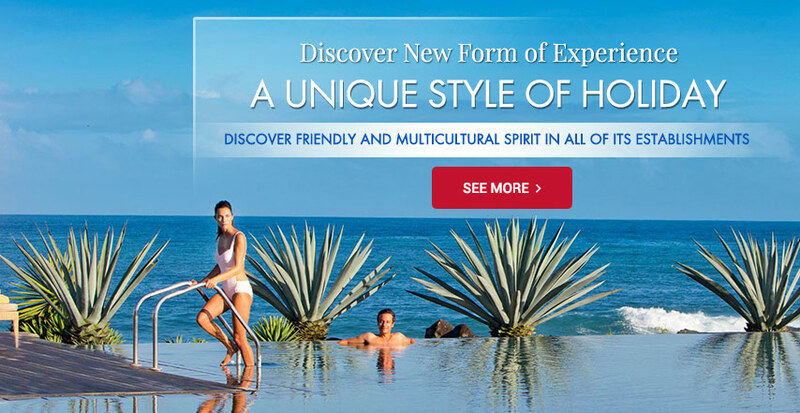 Club Med is today a leading name in its market with a total of 71 resorts in 25 stunning destinations around the world, including Mexico, Bali, Indonesia, Brazil, Mauritius, Thailand, Maldives and many more. The group has successfully developed a chic, friendly and multicultural spirit in all of its establishments. Sofitel has an excellent history of 50 years in the hospitality industry and an assortment of 200 hotels worldwide, from Asia to the States, South America to Australia. All Sofitel hotels share an authentic passion for the new French art de vivre and luxurious French hospitality: embracing and honouring local culture. A dedication to the art of wellness; and a never-ending appreciation for modern and contemporary design. Sofitel hotels blend local and international artistic expression to create splendid cultural journeys designed to both delight and inform. Discover an impressive range of distinctive international hotels infused with new French elegance, allure and refinement. Sofitel hotels offer a wealth of opportunities for relaxation, rejuvenation, health and wellbeing. Founded by John Jacob Astor IV, with the opening of the first St. Regis Hotel in New York City over a century ago, the St. Regis brand of hotels and residences is known for its unique luxury dimension, customized service and refined elegance in the best destinations worldwide. For more than 100 years, the brand has catering to travellers looking for a unique holiday experience. Discover the renowned hallmarks of St. Regis such as the signature St. Regis Butler Service that provides anticipatory service and customizes each stay according to specific tastes and preferences. Combining classic sophistication and modern luxury, the St. Regis brand remains faithful to its commitment to excellence. Upon entering a St. Regis hotel or resort, guests are immersed in an environment that transforms the senses, an atmosphere created by aromatic fresh flower arrangements, exquisite furnishings, and intricately detailed, architecturally stunning interiors. Maritim is a highly renowned German hotel chain founded in 1969. The comprehensive portfolio includes centrally located city hotels, conveniently located airport hotels, coastal beach resorts, lakeside family hotels, course-adjoining golf hotels and parkland spa hotels. While every property is uniquely individual with its own advantages, they are united under Maritim’s motto of ‘meetings and accommodation under one roof’. Le Méridien is a global hotel group with a portfolio of more than 100 luxury and upscale hotels in over 50 countries worldwide. Its first establishment was created by Air France in 1972 as “a home away from home” for travellers. It currently has properties spread all over the world, across Europe, Africa, the Middle East, Asia Pacific and the Americas. Le Méridien continues to grow and bring its guests inspired experiences all around the world. It is an ideal platform to share and blend cultures from all over the world in an inherent way. Le Méridien is devoted to fostering local connections in each of its host country, adding a layer of indigenous culture and artistry to its French heritage. Four Seasons Hotels & Resorts is a luxury hotel chain with more than 100 hotels around the world, that seeks to perfect the travel experience through completely individualized and dedicated service. Sharp founded the Four Seasons and for nearly 50 years, without losing its focus on exceptional quality and unparalleled service, transformed the hospitality industry by combining friendliness and efficiency with the finest traditions of international hotel keeping. Four Seasons Hotels & Resorts offers an exceptional quality of unparalleled service with a relentless dedication to perfecting the guests’ travel experience. The group provides travellers all around the world with excellent holiday destinations, such as tropical getaways in the magnificent Indian Ocean. The Shangri-La story started in 1971 with their first deluxe hotel in Singapore. Inspired by the legendary land featured in James Hilton’s 1933 novel, Lost Horizon, the name Shangri-La encapsulates the serenity and service for which their hotels and resorts are renowned worldwide. Today, Hong Kong-based Shangri-La Hotels and Resorts is Asia Pacific’s leading luxury hotel group. They are also regarded as one of the world’s finest hotel ownership and management companies. Shangri-La offers a range of different brands for travellers to enjoy: Shangri-La City Hotels, Shangri-La Resorts, Traders Hotels, Kerry Hotels and Hotel Jen. Discerning travellers will enjoy world-class service amidst tranquil surroundings, coupled with inspirational architecture and design. The finest dining experiences at every hotel and resort ensure that every palate is pampered. But what makes each stay truly memorable is something even more exquisite and rare - Shangri-La’s special kind of hospitality. Angsana is part of the Banyan Tree Holdings Limited group which is an international hospitality brand that manages and develops resorts, hotels and spas in Asia, America, Africa and Middle East. The brand was established since 1994, with its roots in Singapore. 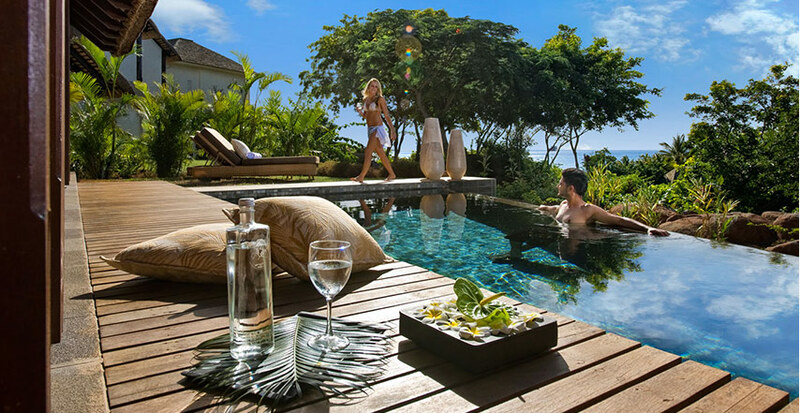 With attentive yet discreet service and associates representing more than 50 nationalities, Banyan Tree Hotels & Resorts provide naturally-luxurious, ecological, culturally-sensitive experiences. Banyan Tree Hotels & Resorts has grown into one of the world’s leading international operators in the hospitality and spa industry that manages more than 30 resorts and hotels, 70 spas, 90 retail galleries and three championship golf courses in 28 countries. The company has created hotels and resorts to suit your needs and lifestyle built on a foundation of sustainability. The international RIU chain was founded in Mallorca by the RIU family in 1953 as a small holiday firm and is still owned by the family’s third generation. The company specialises in holiday resorts and 70% of its establishments offer its acclaimed All Inclusive by RIU service. With the inauguration of its first city hotel in 2010, RIU is expanding its range of products with its own line of city hotels called RIU Plaza. RIU Hotels & Resorts now has more than 100 hotels in 19 countries which welcome over 4 million guests a year. 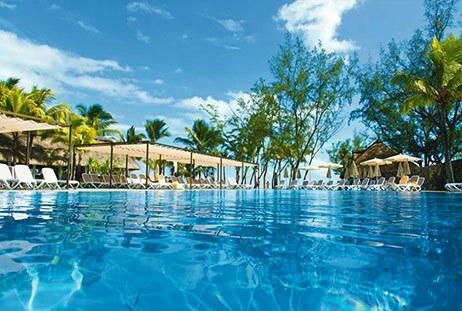 RIU is currently the world’s 30th ranked chain, one of the Caribbean’s most popular and the third largest in Spain. RIU Hotels & Resorts have been working on one idea, that our clients enjoy an unforgettable experience over 60 years. They built more than 100 hotels in the best destinations worldwide, our aim is to make our guests feel good and enjoy your stay with all the amenities we offer. Come and enjoy a holiday with family or friends and live your own unique experience! Mauritius is a tropical island with a unique blend of exquisite wildlife, a vibrant heritage, unique local assets, delightful local cuisine, enchanting music and various traditions of the numerous religions present here. The island has been a prime holiday spot in the Indian Ocean for years now. 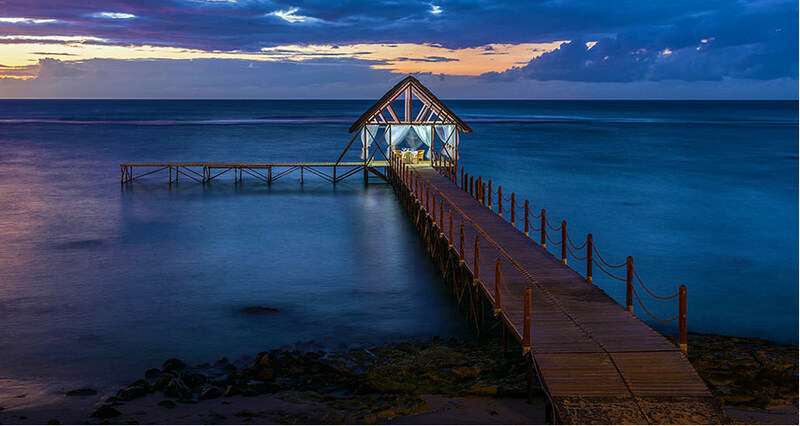 A drastic change came about in the economic structure of the island with the emergence of tourism as the third pillar of the Mauritian economy. 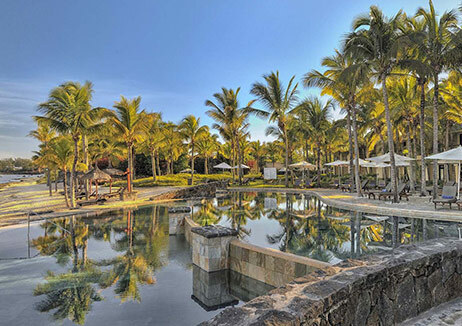 The invigorated tourism sector has acquired international hotel chains’ interest and presented Mauritius in an excellent position to take advantage of growth opportunities. Changes have emerged in this fast-growing sector to respond to the highest expectations of a wide range: culture, heritage-focused and adventure holidays as well as cater for the tastes of the European, Asian and African tourists. 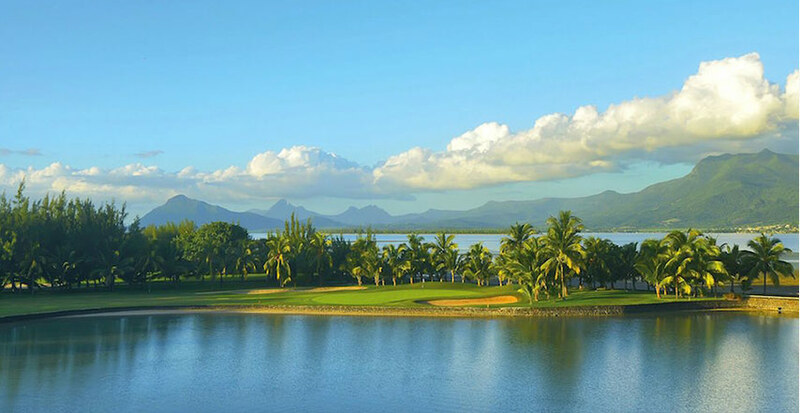 In addition to a varied range of sights and attractions that are easily accessible, Mauritius has very good infrastructure. The road network has been vastly improved over time and a highway that runs from the north to the south gives you convenient access to the entire island. Additionally, the Government is currently studying a report prepared by international consultants on the introduction of a light railway system or an express bus system between the busy urban passageway of Curepipe to Port Louis. A major infrastructure change in recent times has been the addition of a new passenger terminal at the Sir Seewoosagur Ramgoolam International Airport of Plaisance. The airport has undergone major re-development works under a new management contract with British Airport Authorities, aimed at making it a world class airport. The new terminal will accommodate up to 4.5 million passengers, with 54 counters. The new building boasts a chic, modern design with a local touch; the terminal’s roof is modelled on the Traveller’s Tree (the Ravenala palm), a tropical plant found all over Mauritius. The central section, which symbolises the trunk, covers the entrance hall, while the “palm leaves” to the sides provide cover for the boarding lounges, which offer passengers a view over the mountains of Mauritius and Blue Bay lagoon. Telecommunications is also highly developed. A modern international telecommunications infrastructure provides access to major databases worldwide, videoconferencing facilities, interactive point-to-point or multi-point service. Mauritius Telecom, the main telecommunications company in Mauritius, also provides a range of digital services such as, high-speed leased lines, Dial-up Public Packet Switched data network, and Virtual Private Networking. 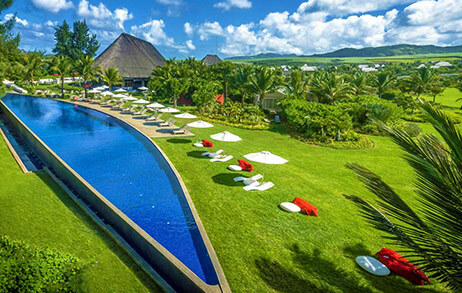 Furthermore, the Mauritius Tourism Promotion Authority (MTPA) has implemented the policy of opening the Mauritian sky to new airlines that has caused a huge resurgence in travel and tourism that changed the whole tourism landscape in Mauritius. The aforementioned policy has enabled Mauritius to pursue new international markets and boost existing markets with more long-haul direct flights. The soft opening up of the Mauritian Sky to several airlines namely LaudaAir, Air India, Luft, Emirates Airline, has contributed to increasing the traffic of tourists from Austria, Germany, India, etc. to Mauritius. For instance, Mauritius boosted air connectivity with China through the introduction of 28 weekly flights between the two countries. It is now ranked the No.1 preferred destination in China, among 100 international destinations, according to a survey released by China National Tourism Administration (CNTA) in 2016.